At Knox we have an exciting range of frames available for men, women and children from a variety of designer brands and industry leading manufacturers. 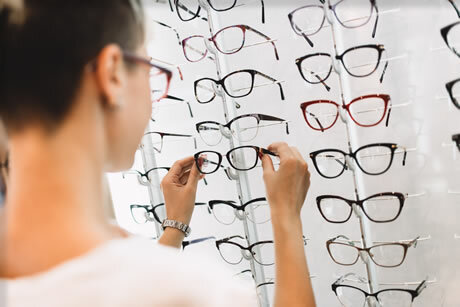 As an independent opticians we have the freedom of being able to carefully hand pick our manufactures to ensure our patients are being provided with high quality, reliable frames regardless of which end of the price spectrum they may fall on. Whether you’re looking to make an expensive statement or budget conservatively, we have frames for every occasion and our expert optometrist are more than happy to help find the style the suits you best while still being excessively comfortable and practical. 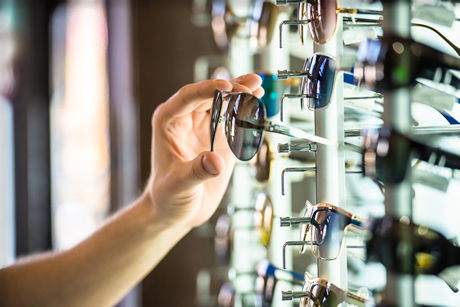 With brands such as Tom Ford, Ray Ban, Oakley, Stark, Silhouette, Dolce & Gabbana and many more available from either of our practices there’s no shortage of choice when it comes to choosing your frame provider at Knox. Here at Knox we’ve got an excellent range of sunglasses to choose from for men, women and children in a variety of exciting styles across an equally expansive price range to suit all budgets. We remain ever-conscious of the excessively damaging nature of direct sunlight on the human eye and the remedial conditions it can cause when untreated and to combat this, all of our sunglasses are both UVA and UVB protective to ensure your vision remain safeguarded throughout the summer and beyond. All of our prescription sunglasses can be expertly fine-tuned to suit your own specific prescription; helping to lighten the burden when battling with sun glare and reducing overall squinting of the eyes throughout the day. At Knox we’re all about providing equal accessibility to our fantastic range of accessories, as such our expert optometrist can take existing prescriptions and reglaze/retint the glasses to give you the perfect duality of your regular eyesight assistance with sun protection – allowing you to enjoy the sun year-round in style.